Fiorella Battaglia, Assistant Professor, studied philosophy at the Pisa University in Italy and at the Humboldt University in Berlin in Germany, and specialised in philosophy of Historism. She obtained her Master degree, with honours, in 1998. Between 2000 and 2004 she completed her dissertation at “L’Orientale” University of Naples on Immanuel Kant’s transcendental anthropology. Between 2004 and 2005 she completed a master dissertation at the University of Pisa and at National Council Research on ethics and epistemology of environmental epidemiology. From 2006 until 2010 Fiorella Battaglia had a research position at the Berlin-Brandenburg Academy of Sciences and Humanities “Functions of Consciousness”. At the BBAW she was also member of the “Human Project. The position of the human being in nature”. From 2007 until 2013 she was lecturer at the Department of Philosophy of the Humboldt University of Berlin. Since 2007 she has assignment of teaching duties of Philosophy of Science and Ethics at the Medical School of the University of Pisa. Since March 2012 she is member of the EU-funded project: “Robolaw. Regulating Emerging Robotic Technologies in Europe“. Since September 2013 she is member of the EU-funded project “Credits4Health. Credits-based, people-centric approach for the adoption of healthy life-styles and balanced Mediterranean diet in the frame of social participation and innovation for health promotion“. 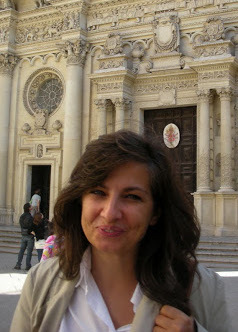 Since 2013 Fiorella Battaglia works as Assistant Professor at the Faculty of Philosophy, Philosophy of Science and Study of Religion of the Ludwig-Maximilians-Universität of Munich. She is continuing her research of the previous years here, and holds two courses each semester.